#11 of her series Mitt Paté is perfect. Why? Because happiness and fun is everything, if deep down below there is also a sense of anger. And while the old school noise-musicians expressed only anger, with here and there a hint of art brut and dada, Agnès takes the noise-grandad out for a wheelchair ride in the park and listens patiently to his rants ,-and we know she loves him, just look at her wipe the slobber off his chin. She revives noise, she emancipates the ordinary pop song, she celebrates commercial music cassettes that have landed in the bin, she embraces the traditional tearjerkers from the past and she defines a starting point for a new genre that goes way beyond collage-art and plunderphonics. Her art links directly to a way of living, experiencing, observing, caring. 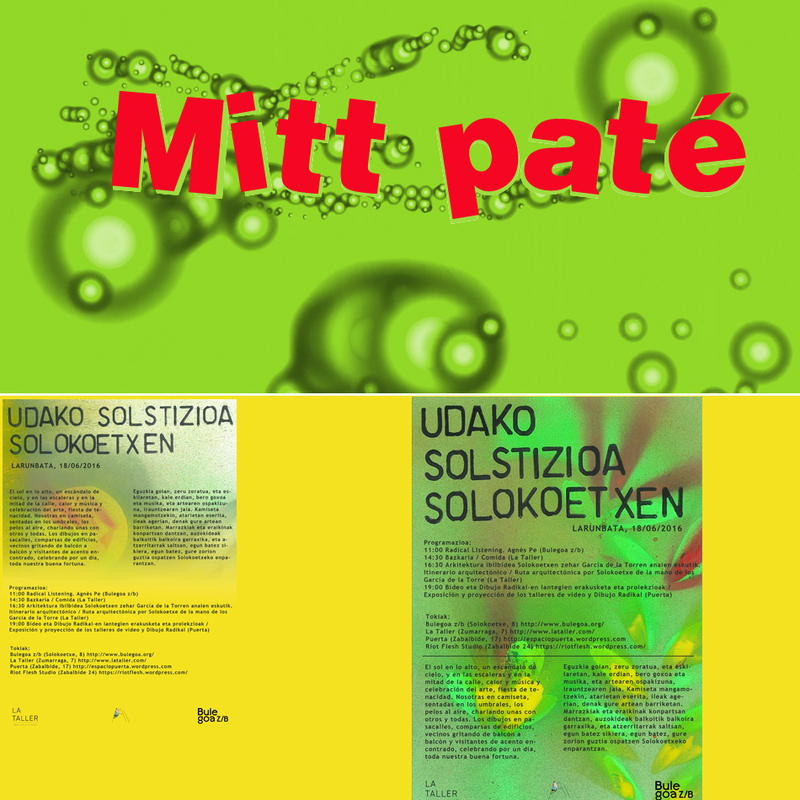 Mitt Pate # 11 is dedicated to a radical listening session held at the Summer Solstice Solokoetxe neighborhood in Bilbao on June 18.